Below you shall find the pictures of the ESFNA 2015 winning raffle tickets. The 2015 ESFNA raffle prizes were sponsored by the 31 ESFNA member teams. The teams contributed a $1,000.00 each to purchase a car and the other prizes. In exchange, each team received 300 raffle tickets priced at $20.00. The plan was for each team to sell the tickets and raise $6,000.00 for tournament related expenses. It's not easy for some teams to sell 300 tickets. Therefore, it's often the case for players, team leaders and team supporters to purchase multiple tickets as a way of contributing to the team they support. On Saturday July 4, 2015, ESFNA's Internal Auditor collected all the raffle ticket stubs. 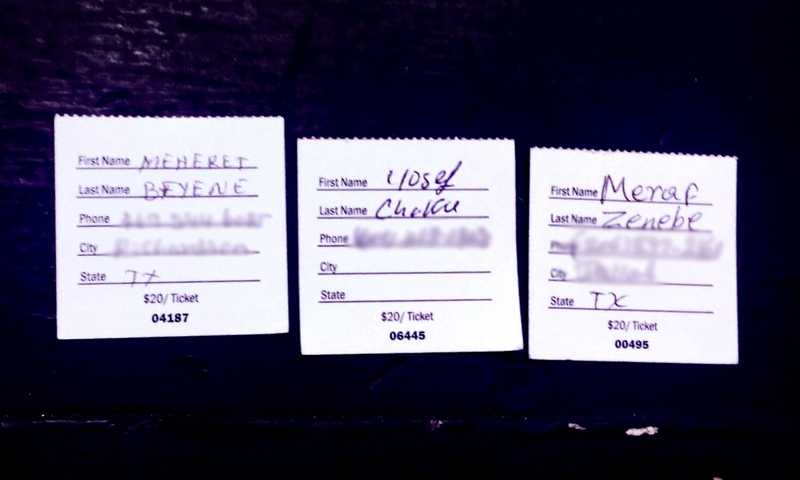 At the Closing Night Party at Echostage, the Master of Ceremony randomly selected three individuals from the audience to pull the 3 winning tickets from a basket that included all raffle tickets. The drawing was conducted in front of the entire audience and witnessed by members of ESFNA's Executive Committee members. The winning numbers were immediately read to the audience.